In today's print edition of 20 minutes on page 9. You can find them all over the city at métro entrances. Coupon is only valid Sept. 18 and 19. 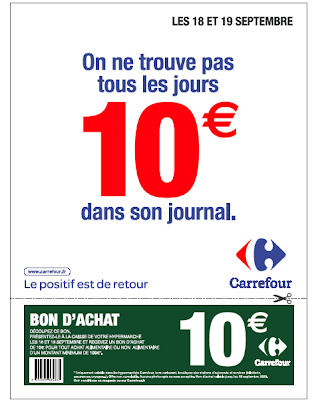 10€ off a 100€ purchase at any of the Carrefour Hypermarchés.